This terracotta teapot has been re-designed for use in the garden as a bird nester to provide a safe home for small nesting wild birds. This birds nest has an entry hole which will allow easy access for small birds whilst preventing access to larger predators. With a flattened back & hanging hole to sit against a wall or fence & a drainage hole in the base to prevent water logging. The teapot lid can be removed for ease of cleaning at the end of the season. 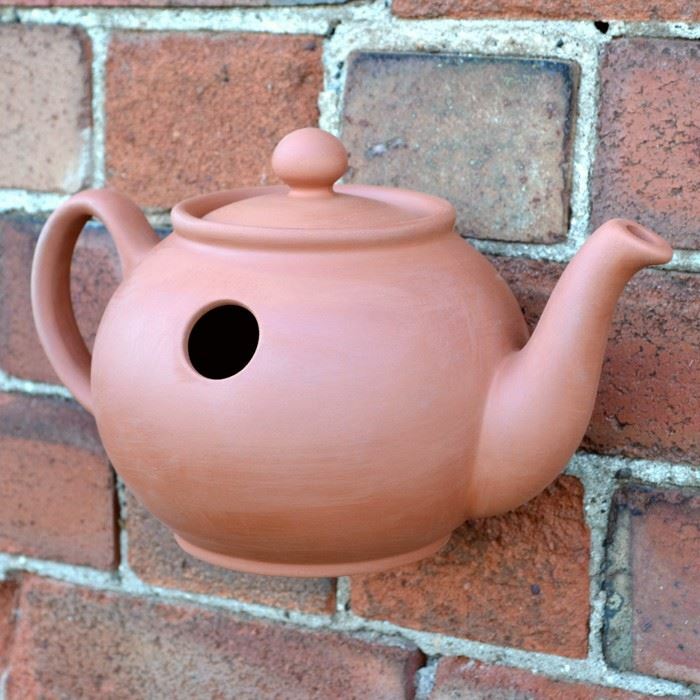 Made in the UK at our Nottinghamshire pottery studio from English terracotta. Size: Length 27cm from tip of spout to handle edge.